Q: Will withered funghi leave the den? A: No. Withered funghi can even go on adventures and get stuff back for you. The only thing they cannot do is to help out at facilities. Q: Where is the traveller's hut? Q: Do I need to buy all hats for my funghi? A: No, but it will be good if you want to fulfil the achievements. Also good if you want to layer effects of the hats with the same kind of funghi i.e. if you give 2 funghi different hats, both funghi will get the effects of both hats! Also, if you have 3 different hats for a type of funghi, the funghi has effects of all 3 hats regardless of which you wear! Here are some simple things to note of your Funghi's Den when playing. This is what you will see in the game. The top left corner is your rank (I was 17), top right corner are you coins and fun orbs. Coins are used to build and upgrade stuff, and fun orbs are used to rush gathering of materials, create special hats and accessories, build special facilities, refresh the mushrooms in the traveler's hut (costs 50 fun orbs), and get special decor (which are really cute). Hi all! 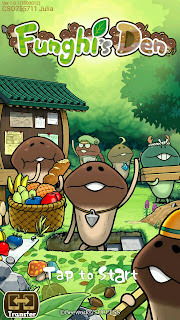 I'm playing this new game called Funghi's Den, which is a simulation game by BeeworksGames (I love their touch detective and other mushroom games!!). 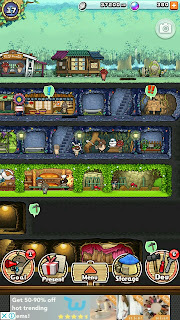 It's really quite similar to Fallout Shelter (which I really love as well). I'm only at level 17 but I shall constantly update this blog so that we can all learn and grow with the game together! Please comment below to share tips + ask questions (I will try to answer what I can)!! Recruiting mushroomsGetting places for them to live in (enhance health) and rest (increase mood)Fulfilling goals - collecting, building, creating Collecting: Gathering of crops and materialsBuilding: Earning money and having materials to build infrastructure Creating: Making hats and accessories with money and materials It is really quite simple and very cute and fun! "Pretend to be ignorant, feign ignorance." Seriously all these people should consider an acting career cos they can play pretend better than our local actors. It is not a surprise if you have colleagues who act blur and play the blame game pretty well when things go wrong. It can be really annoying but there are definitely ways to counter this. Before you point at others, better make sure that you have no soft spots to be picked upon. If you also have this act blur tendency, then read and reflect.